…Containing twelve inches of water with 550kg of Epsom salt (Magnesium Sulphate) dissolved inside. The water is heated to skin temperature, so that once you are settled in the tank, the sensation of water on your skin will slowly fade away. It will be as though the outside world have quietly faded away, leaving you in your own space for relaxation. 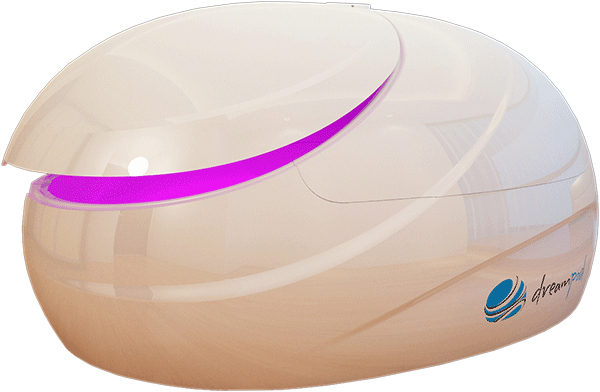 The buoyancy created by the dense Epsom-salt solution effectively removes the feeling of gravity on the body, bringing you close to an experience of total weightlessness. 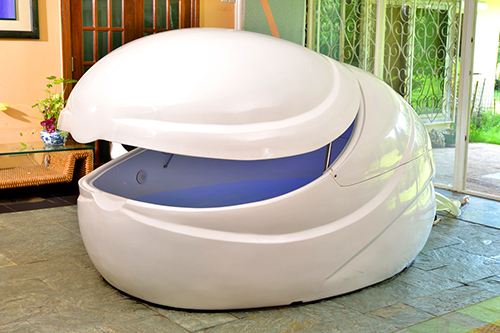 This gives you the perfect environment to allow your physical body to release the daily strain on your body. With ear plugs in, and the tank’s interior lights off, the quietness and darkness allows the mind to drift into the deepest state of relaxation possible. 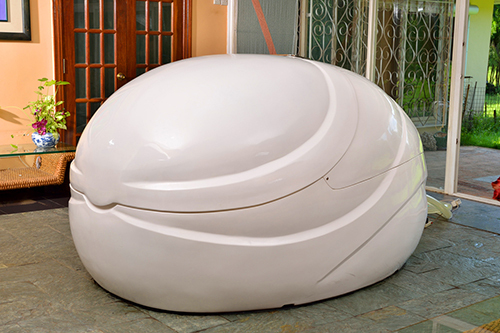 Reaching a restful state in the zero-gravity environment in a floatation tank, the brain would begin a fascinating process. 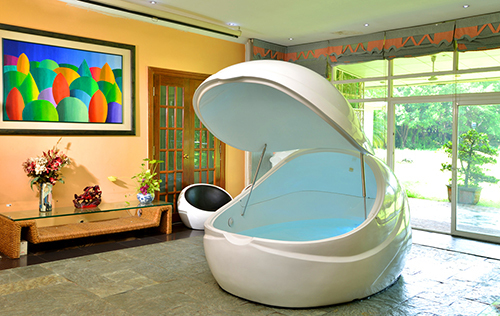 Endorphins are released by the brain as you float in the tank. These are powerful natural pain relievers and mood enhancers that promote a sense of well-being. 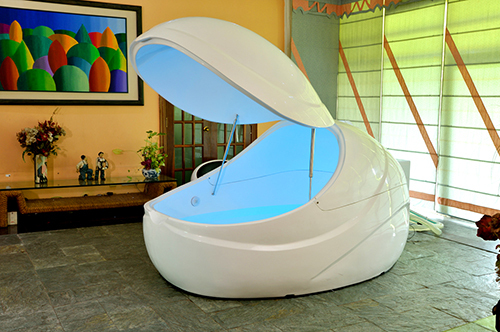 It will also further enhance the healing benefits and sensation of relaxation created by the zero gravity environment. Aside from endorphins released by the brain, your brainwaves will also shift into a theta state. Theta brainwaves are a rare brain state, normally achievable by people trained extensively in meditation. 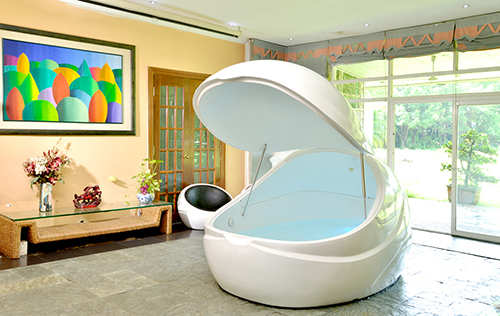 Floating can be considered as a short cut to achieving the deepest state of mind, and well being. No matter how long you float, your skin will not form any wrinkles that are normally associated with prolong water soaking. The salt is continually absorbed by the skin, allowing the skin to remain smooth and supple. Your body absorbs an abundance of healthy minerals such as magnesium and sulphates through the skin. Both minerals are available in Epsom salt. 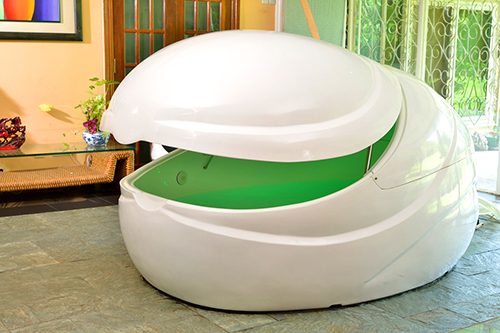 One hour in the Dreampod will allow you to supplement your body’s requirement of magnesium. Floating reduces stress on the back, hips and joints. This is also beneficial to people with very sore muscles. Magnesium is a natural sedative, it will help relieve muscle aches, back pain, migraines, insomnia and much more. Promotes total mental and physical calmness. Improves blood circulation and the distribution of oxygen and nutrients. Reduces blood pressure and heart rate, giving the body a natural way to release stress.